2018 Varsity Baseball - Est. 1947 - 72 Years - Cardinal Athletic Alumni Association, Inc.
HORTONVILLE – The Cardinals got a run in the top of the eighth inning on an RBI single by Carson Raddatz to steal the win over the Polar Bears. WP: Henry Lange (3.1 IP, 0 ER, 4 K). LP: Eli Kramer (2 IP, 1 ER). KIMBERLY – Kimberly scored seven runs in the first two innings to take control and roll to the victory. Carson Raddatz hit two home runs for Fond du Lac. WP: John Nett. LP: Jack Cole. Carson Raddatz FDL 2×4, 2 HR. FOND DU LAC – Eli Verhagen went 4-for-4, including a double, a triple and four RBI, to lead the Ghosts over the Cardinals. Jarrad Rettler struck out six batters as he led Kaukauna with the complete-game win. WP: Jarrad Rettler. LP: Jack Cole. Grant Emme K 2×2, 2 2B; Knaack K 2×3, 2 RBI; Eli Verhagen K 4×4, 2B, 3B, 4 RBI; Jordan Skenandore K 2×4, 2B. APPLETON – Jack Cole had a pair of hits for Fond du Lac. WP: Joe Georger. LP: Sam Hernandez. Leading hitters: Joe Georger AW 3×4, 2B, 2 RBI; Bubba Thompson AW 2×34, 2B, 2 RBI; Jack Cole FDL 2×4. 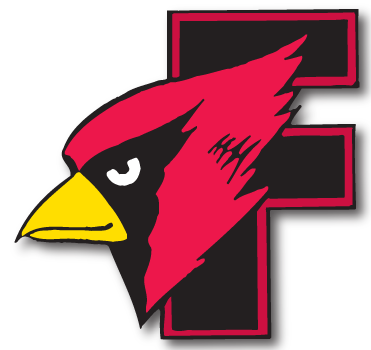 FOND DU LAC – The Papermakers scored three runs in the first two innings as they went on to shut out the Cardinals. WP: Trey Tennessen. LP: Jack Cole. Leading hitters: Zach Lechnir K 3×3; Drew Lechnir K RBI; Jack Kieffer K RBI. @ Neenah – Fond du Lac scored all seven of its runs in the fifth inning to grab the victory.